One of the rivers we fish is the Madison. The Madison is a consistently productive river that is great for all types of fishing. 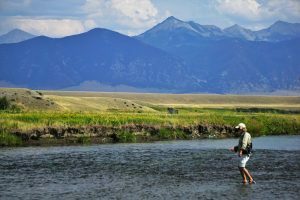 It also offers a quiet and isolated setting to make your fly fishing experience even better than expected. The Madison is a national treasure that should be experienced by everyone. The absolutely stunning views in all directions makes a great day.